Marilyn graduated from PTA school in 1992 from Indian Hills Community College in Ottumwa, Iowa. She worked for Rehability in Denver and Yuma, Colorado servicing various nursing homes with physical therapy needs until 1994. 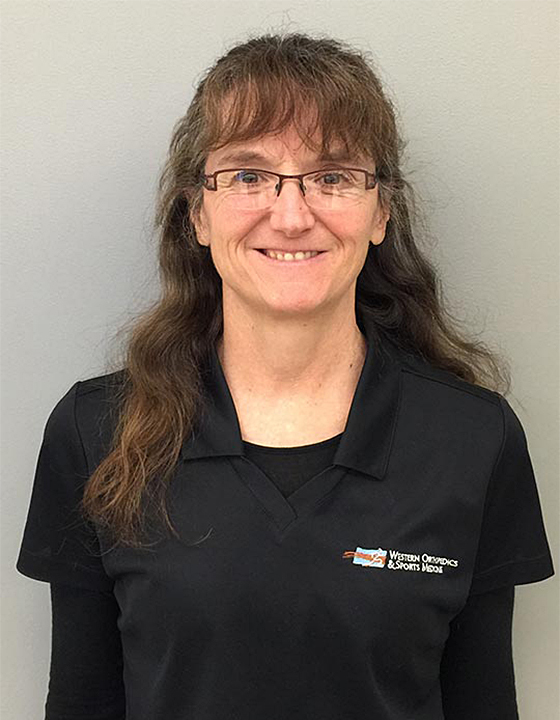 Marilyn relocated to the Grand Junction area and began working at Family Health West providing physical therapy in long-term care, assisted living, home health, and skilled nursing and outpatient settings until 2002. From 2002-2008 Marilyn worked at St Mary’s Hospital providing in-patient physical therapy services for acute care and rehabilitation. In 2008, she joined Western Orthopedics & Sports Medicine, providing out-patient physical therapy services.